Like other subjects I teach, we will begin at your current level and progress from there. If you're just starting to learn music theory and need to learn the basics - or even if you're more advanced and want to learn elements of voice leading, atonal theory, or even Schenkerian analysis - I will explain theoretical concepts, break them down, and ensure you understand each aspect of our lesson. I have also given music theory lessons as a way of tutoring students currently enrolled in an academic music theory course. Just let me know your current level and we'll design a plan for you! I've been composing and arranging music professionally for over 20 years. 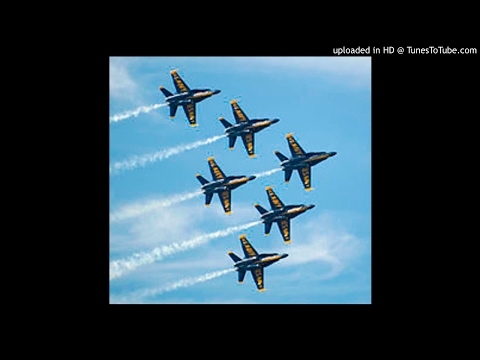 As Staff Arranger for the US Air Force Bands program, I have crafted selections ranging from classical/symphonic compositions to pop/rock/country arrangements, jazz & big band selections, and chamber music. 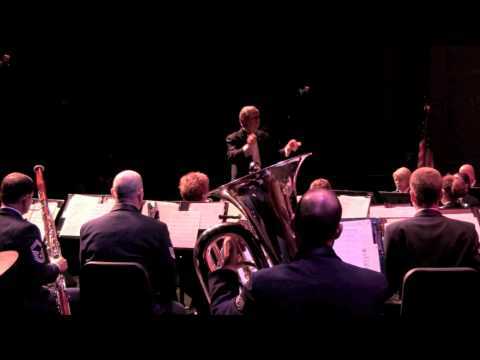 My music has been performed by military worldwide, as well as university & high school/middle school bands, drum corps, professional symphony orchestras, and I spent a number of years creating brass ensemble "showstoppers" for the annual artist faculty concert at the National Trumpet Competition. Many of my original works are published, either through LudwigMasters Publications or Bandworks Publications. Some notable performances of my music include the LA Philharmonic's 4th of July series at the Hollywood Bowl, performances at the Midwest Band & Orchestra Clinic, and music for the televised funeral service of President Ronald Reagan. I have also worked extensively as a conductor and have conducted groups ranging from beginning bands to professional orchestras. In this position I tutored young student athletes from various sporting activities (football, baseball, etc.) who needed Music Appreciation as part of their degree program. Since its founding in 1898, the NFMC has grown into one of the world’s largest music organizations with club and individual members of all ages. The NFMC is chartered by the Congress of the United States, and is the only music organization member of the United Nations. NFMC provides opportunities for musical study, performance and appreciation to more than 200,000 senior, student and junior members in 6,500 music-related clubs and organizations nationwide. Members are professional and amateur musicians, vocalists, composers, dancers, performing artists, arts and music educators, music students, generous music patrons and benefactors, and music lovers of all ages. The Air Force Bands Program is a family of 10 active duty Air Force bands and 5 Air National Guard bands featuring our nation&amp;#039;s finest professional musicians. Each band operates within its own geographic area of responsibility representing America&amp;#039;s Airmen to a global audience. "The Blue Hornets," concert march for middle school band (Gr 2). Presenting a framed score of an arrangement I once created for Robert & Margrit Mondavi (owners of the Mondavi Winery). Joseph Hermann conducting the 2nd movement of my First Suite for Band (Bandworks Publications). 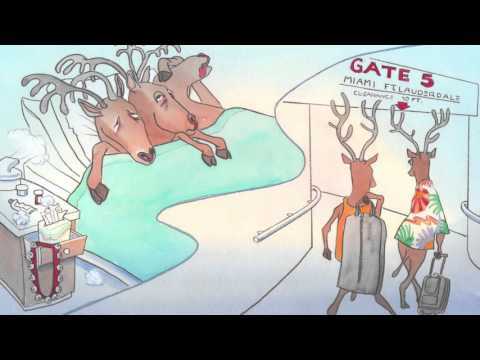 I was asked to compose the music to accompany the story "Robbie the Raptor," which became this video. 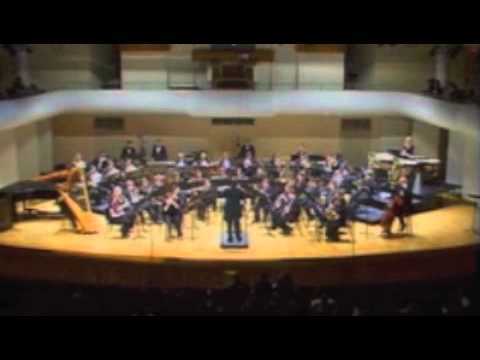 "Fast Falls the Eventide," a commission for the University of Alabama Wind Ensemble (2009). 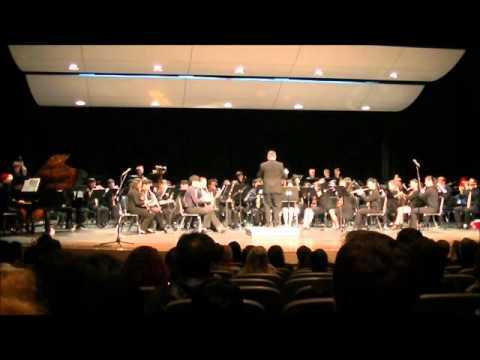 Bellevue High School band performing my composition "Cycle of the Werewolf." A pleasant day at the office, working on a new composition during a hard snowfall. San Antonio Symphony performing my opening fanfare work "In Full Glory Reflected," based on "The Star Spangled Banner." 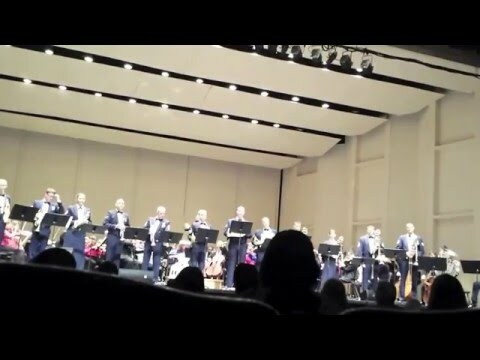 Conducting an original work with the US Air Force Band of the Golden West. Recording some of my music at the Skywalker Ranch in Marin county, CA. I needed help knowing how to arrange a full band work for my Instrumentation Class project. I offered to pay him to do it for me but he wouldn't do that (haha). But he did sit with me and show me how to do it myself and I was happy I learned something. It wasn't great but if I had the desire to be an arranger then I would definitely study more with Jeremy. Jeremy did a great job teaching me how to write an arrangement for a jazz band. I hadn't ever done anything like that and had no clue how to write rhythm parts. He gave me all the help I needed to know how to write chord symbols and notation for a rhythm section - lead sheets for the piano and guitar players, a bass part, and drum set parts. They all said the parts looked great. Thanks Jeremy! Without Jeremy, I never would've gotten my Master's Degree. As I was preparing for my comprehensive exams in music performance, I had five pieces ranging from Medieval all the way through 20th century that had to be studied and analyzed for the music theory section of my exam. Jeremy was able to help me (and my entire study group) by teaching us in a knowledgeable, yet approachable way. He has a great deal of patience and a very kind demeanor. I wish I had encountered a teacher like him while in my undergrad music studies. He simplified so many of the concepts and ideas of music theory which really helped me to understand the analysis process and gave me full confidence when taking my comprehensive exams. He never made me feel stupid when asking questions and even when he had to explain the same concept over and over (which that happened often) he never lost his patience. He is so incredibly knowledgeable as a musician and such a delightfully kind person.